When your kids are active and play rough, getting scratches and wounds are unavoidable. And as moms, we easily get freaked out especially when there's blood. Aminin! I know I am not the only one! Heehee! While we can't stop our kids from being kids and have fun, we can certainly avoid infection they can get from scratches and wounds. 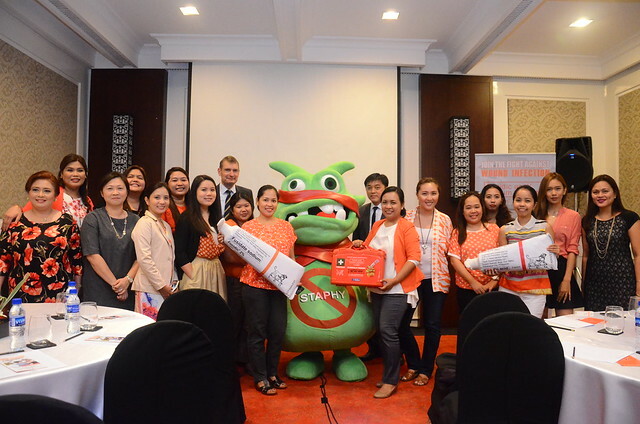 Last October 2015, I was invited by PurpleBug® to an intimate event with LEO Pharma™ to learn more about the #NoToStaphy campaign against wound infection plus wound care 101. I'm glad I was able to attend this event as I've learned a lot and busted some myths about wound care that I thought were facts! Read on to know more about them too! This was Fucidin®'s first ever blogger event! 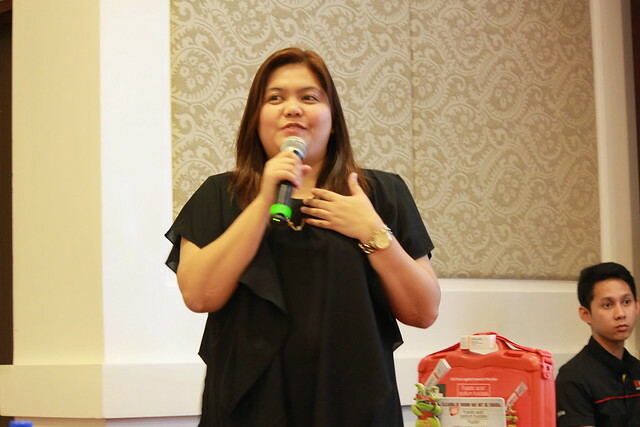 Ms. Joane Opulencia was our lovely host for that day. 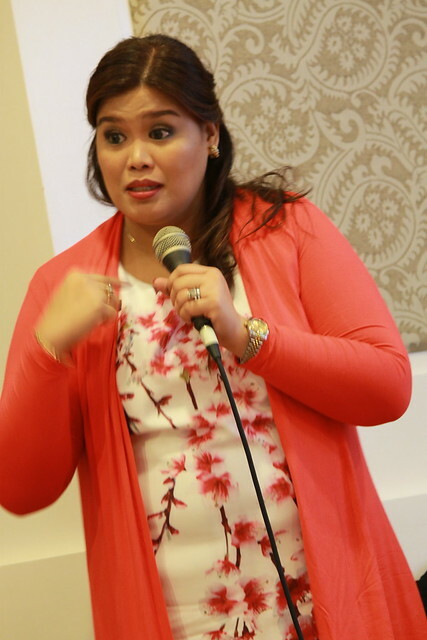 First speaker was Dr. Kristine Gutierrez, a pediatrician at Santo Tomas University Hospital and World Citi Medical Center but she is first of all an extra sure mom of two. Dr. Kristine talked about proper wound care and actually busted a myth that even I actually believed in and practiced for a long time! Dr. Kristine explained the proper steps to wound care and now I am sharing it with you! 1. Keep calm and stop the bleeding. Mommas, don't panic! 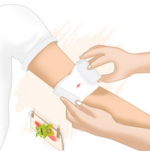 Using a sterile bandage, apply a steady but gentle pressure on the wound for 15 minutes to stop further bleeding. Elevate the wounded area, if necessary. 2. Clean the wound with soap and water. Wash wound with soap and lukewarm water for 15 seconds to prevent further contamination. Yes, you read that right. Water and soap and not with hydrogen peroxide or alcohol! I am sure a lot of us did this, it is a complete no no pala! Using hydrogen peroxide or alcohol can actually do more harm than good. 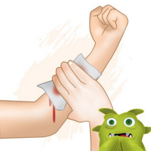 Cleaning the wound helps get rid of bacteria and debris from the injury. 3. Protect against wound infection. While cleaning the wound removes bacteria that surrounds it, it doesn't necessarily kill the bacteria specifically Staphy or Staphylococcus Aureus, a common bacteria found in children's wound infection. This is where Fucidin® comes in. 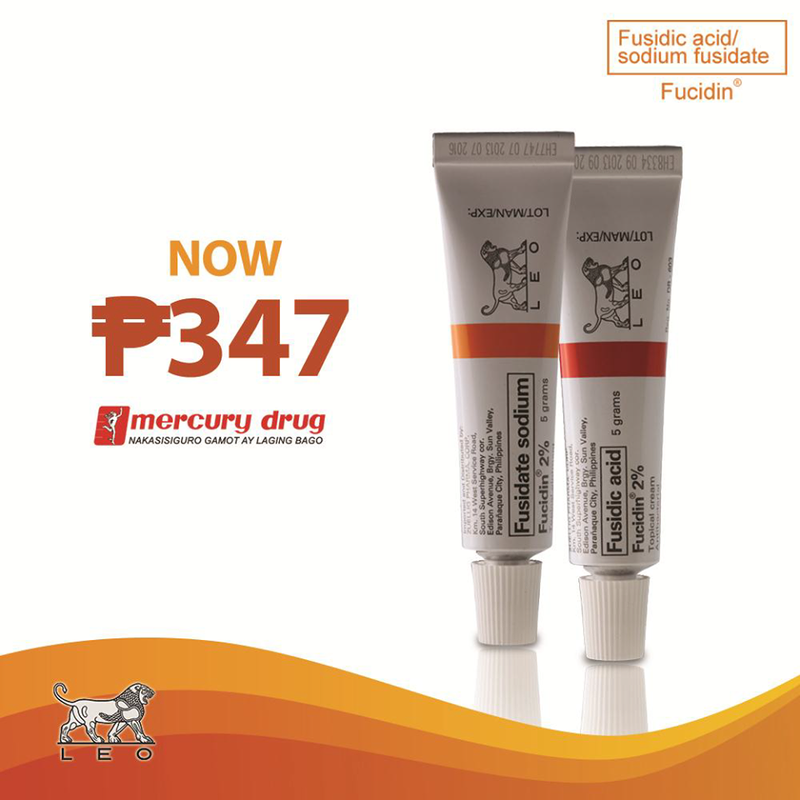 Fucidin® is fast acting and deep penetrating yet does not damage healthy tissues is your best bet. 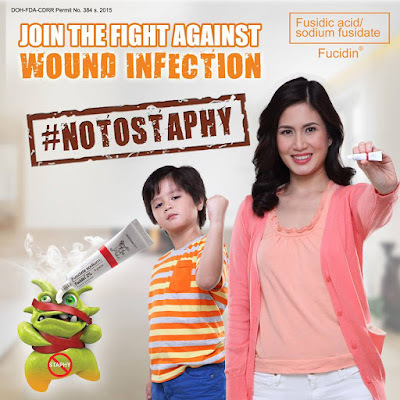 Apply a thin layer of Fucidin® after cleaning the wound to keep it moist. 4. Cover bigger wounds with bandage. 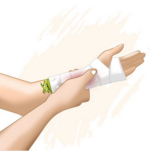 Covering bigger or worse wound with a sterile bandage will help protect the wound from dirt and further irritation. For minor wounds, scrapes or scratches, it is ok to leave it uncovered. For small cuts, use Band-aid. My kids love the ones with cute designs, that helps them forget about their sugat. Here's another myth busted by Dr. Kristine. Keep wounds wet. Don’t let it get dry and leave it exposed to air. I hear this all the time! But bacteria will not flourish under a wound dressing! A dry wound will not heal faster, it can actually lead to greater chances of reinjury and scarring! Remember that wounds should be moist, clean, and covered so they heal faster. If you had a C-section like I did, you would know what we have to change the dressing everyday. The same goes for your wound care. Change the dressing whenever it becomes dirty or wet. Ask a healthcare professional for the proper ways of changing the dressings specific to the wound. Watch out for signs of infection and consult your doctor immediately if and when you see these signs. Signs of infection: redness, increasing pain, warmth or swelling around the area, and pus oozing out of the wound. 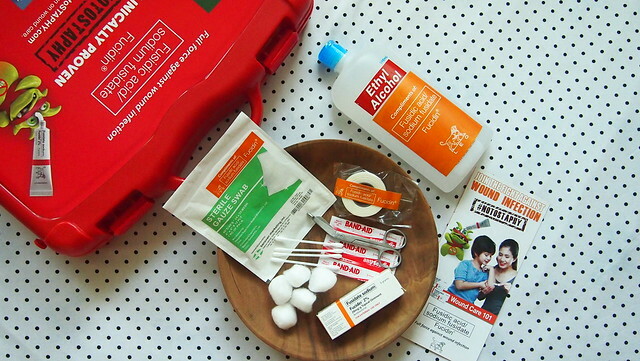 Now that we know the proper steps for wound care, let's all take a look at our first aid kits and make sure we have all the essentials for treating our children's wounds. We all got this Wound Care Kit (which I super love!) from the event which includes: sterile cotton balls and cotton-tipped swabs, sterile gauze pads, medical tape, plastic strips, surgical scissors, antiseptic (ethyl alcohol, for your hands) and Fucidin® of course! I love receiving tokens as useful as this! I made a smaller version of this Wound Care Kit for a trip we had a week after the event! A few more things to add to your wound care kit are: sterile saline solution (contact lens saline solution may do), Calamine lotion (to prevent itching from stings or small insect bites), Hydrocortisone cream, ointment, or lotion - topical steroids can provide quick relief from itching, especially from insect bites, and help reduce inflammation and adhesive bandages of various sizes. 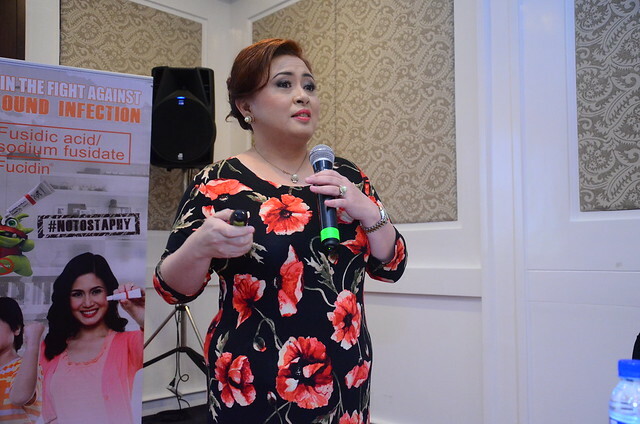 After learning about proper wound care, Dr. Irene Gardiner, Medical Affairs Manager for LEO Pharma™ South Asia, told us more about Fucidin® and its uses. 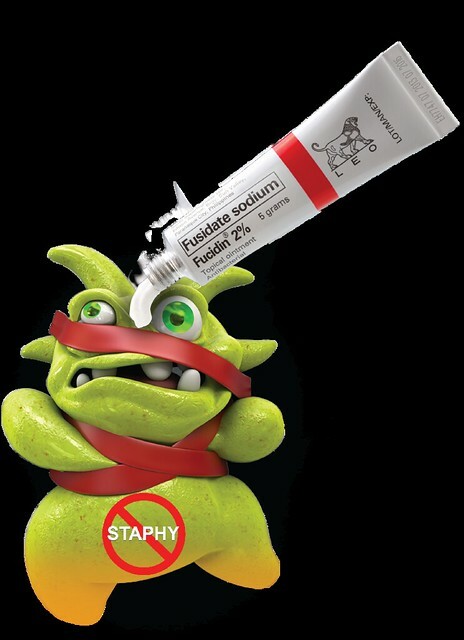 Dr. Irene Gardiner mentioned that Fusidic Acid (Fucidin®) is highly effective against Staphy. It has an excellent skin penetration, low reports on allergic reactions, and no cross-resistance. Fucidin® is also safe for pregnant and breastfeeding moms! 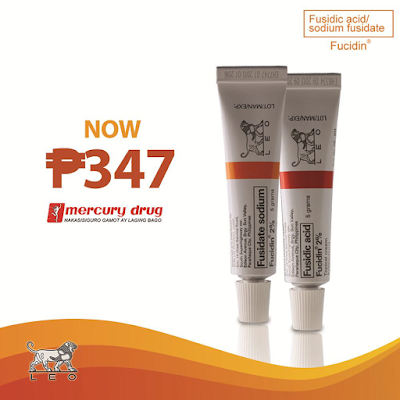 Fucidin® topical formulations reach effective tissue levels in as little as two hours! Staphy is sure gone! 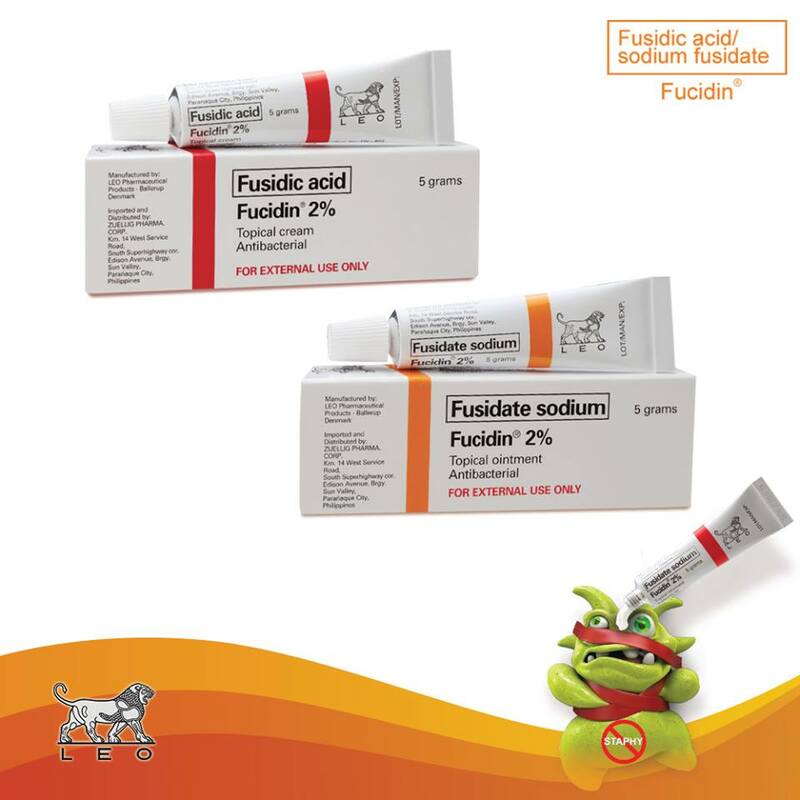 Fucidin® has five different formulations but there are only two kinds that you can buy over-the-counter (without prescriptions). Tip: Cream is for moist wounds while ointment is for dry wounds. Hope I remember this because I always interchange them! Heehee! 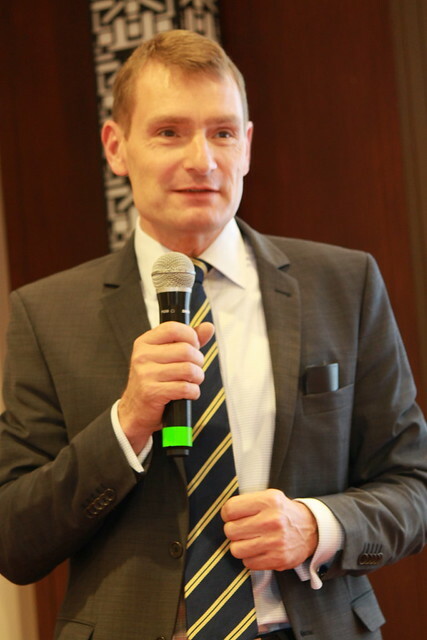 Mr. Lars Olen, Vice President of LEO Pharma™ (Global), also graced the event. He happily answered all of our questions about Fucidin® and LEO Pharma™. 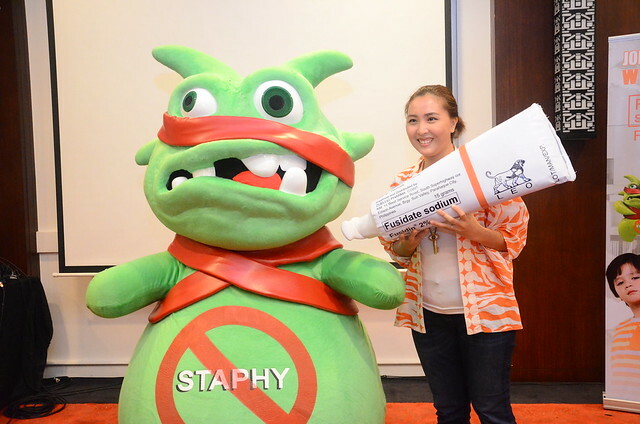 Staphy, the official mascot for Fucidin® also graced the event and we all had a mini photo-op with him! Cute ba si Staphy? Heehee! Check out the video below for more of Staphy! 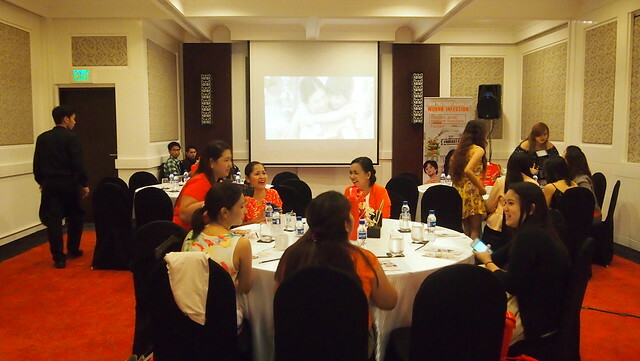 Thank you LEO Pharma™, Fucidin® and PurpleBug® for inviting me to your first ever blogger event. I've learned so much about proper wound care and wound infection and now I know what to do when my kids get wounded (knock on the wood!!!). 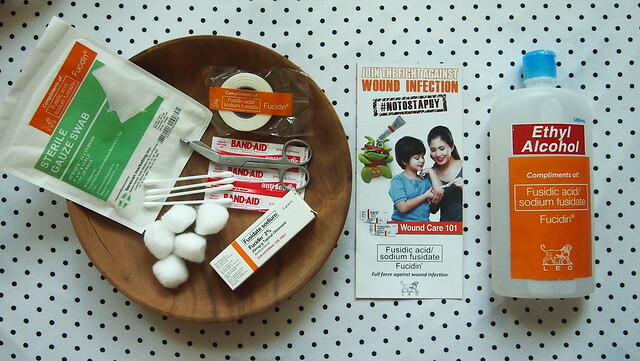 I love the Wound Care Kit which I would make more and put it my daughter's school bag and include it in our travel kits! To know more about Fucidin® and the #NoToStaphy campaign, please visit www.notostaphy.com.ph!